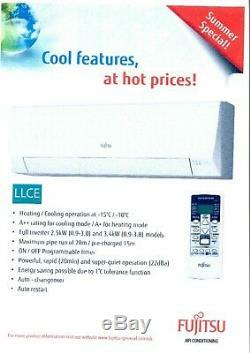 Here we have the latest Fujitsu-LLCE-12-3.5KW System. Please Note I Only sell the Units. Nominal Heating (kW): 4.00. Nominal Cooling (Kw) : 3.4. Comes with a wireless remote control. Please Note No Pipework or Materials are Included. These systems must be installed by an F-gas registered engineer. 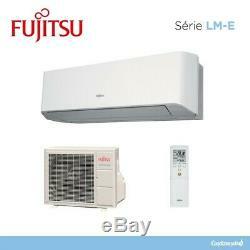 The item "Fujitsu 3.5KW AOYG12-LLCE Wall mount Air Conditioning System" is in sale since Wednesday, February 13, 2019. This item is in the category "Home, Furniture & DIY\Heating, Cooling & Air\Air Conditioners & Heaters\Central Air Conditioners". 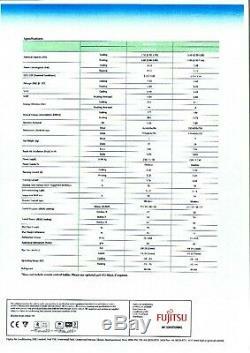 The seller is "ecomaldon" and is located in Benfleet.